American singer Hailey Tuck returns with her band to perform a mix of modern and vintage songs with her own jazz twist. 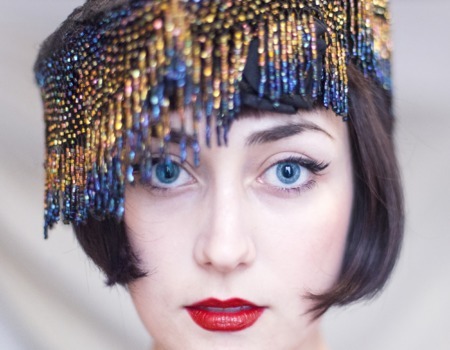 Touted by Marie Claire as "the Millenial's Louise Brooks", young American Hailey Tuck is a jazz singer from the most unlikely of backgrounds. Raised on a diet of black & white movies, 1930's jazz and vintage dresses - before being sent to Baptist Military Boarding school - the 25-year-old and has already reimagined the work of an eclectic line-up of artists including Fats Waller, The Zombies and Maroon 5. With a uniquely captivating voice that sits somewhere between Billie Holiday, Regina Spektor and Ella Fitzgerald, Hailey has been enchanting bigger and bigger audiences at venues and festivals around the world, proving why Yahoo Music named her as one of "25 singer-songwriters under 25 to watch."